From reading my site, many of you know that I have a place in my heart for animals. 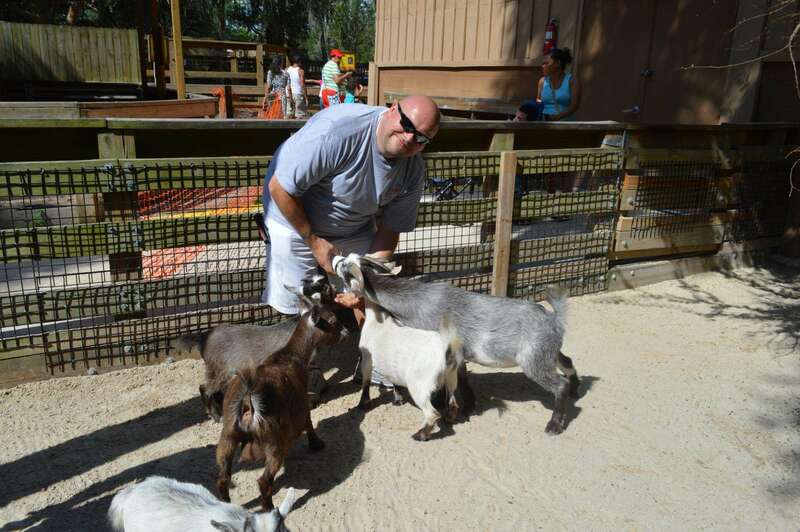 I love zoos, SeaWorld, and any other opportunity to go and spend time with animals around Orlando! 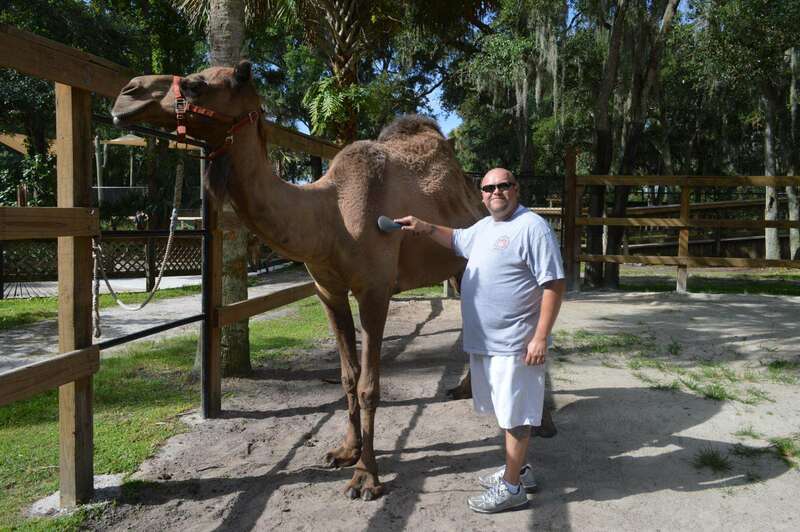 I got the chance to be the Animal Keeper for a day at the Central Florida Zoo with the hoof stock department. 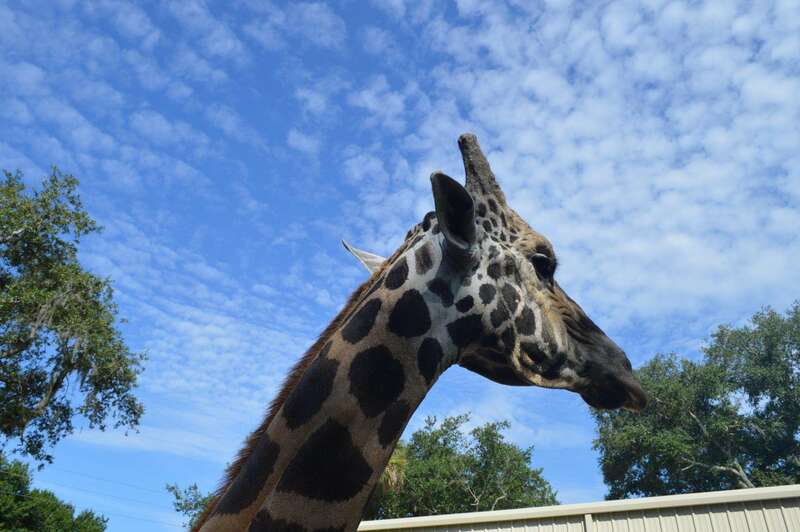 At the Central Florida Zoo, that includes the new giraffes, rhinos, and farm animals including the goats, llama, camel and other animals! Lets look into this program and i will explain everything included! I arrived at the Central Florida Zoo at 9am and was met by the lead keeper. After signing some wavers she explained what all we would be doing that day. She made sure I didn’t have any limitations, and also made sure I was comfortable working around the animals we would be with that day. After all the paperwork was out of the way we made our way around the zoo to the giraffes where we would start our day. 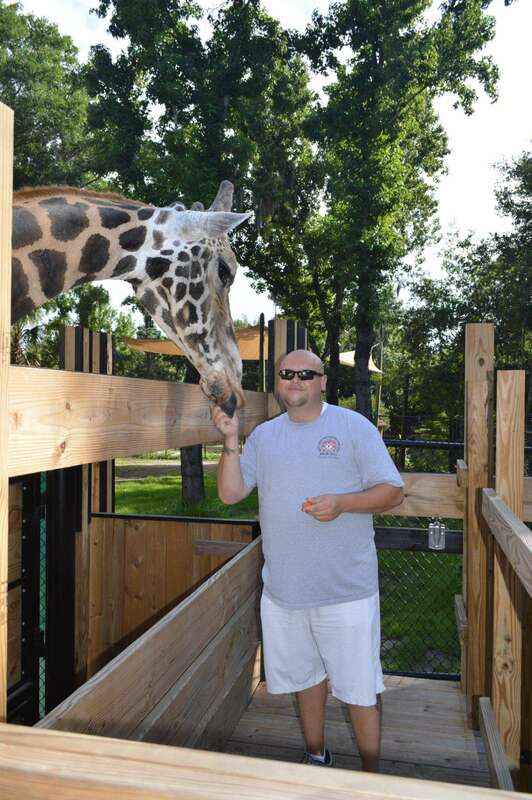 We started out in the giraffe barn letting the animals out for the day. One at a time, the animals were placed into a shoot where the keepers could examine the giraffes and also where I would have my first animal encounter. Perched on a 10 foot platform I got to get a close encounter with these amazing animals. After feeding one of the giraffes a few handfuls of food, they were let into the yard for the guests to enjoy. We then did the same with the second giraffe. 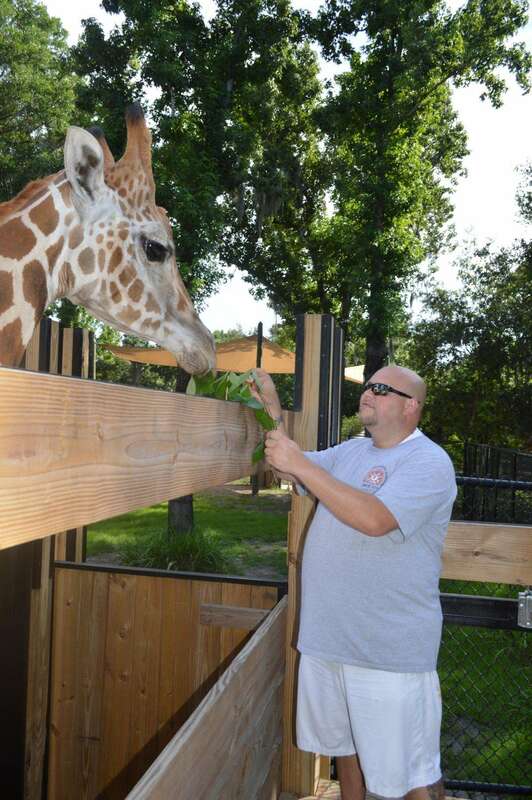 Meeting the newest members of the Central Florida Zoo family was amazing and something I wont soon forget! Feeding them and seeing them eye to eye was something to not be missed! After spending some time with the animals we then had to clean the barn from the night before. Each and every day, the keepers scrub, clean and disinfect the animals enclosures to ensure they are happy and healthy. After cleaning floors and setting up the dryers it was off to see the farm animals! 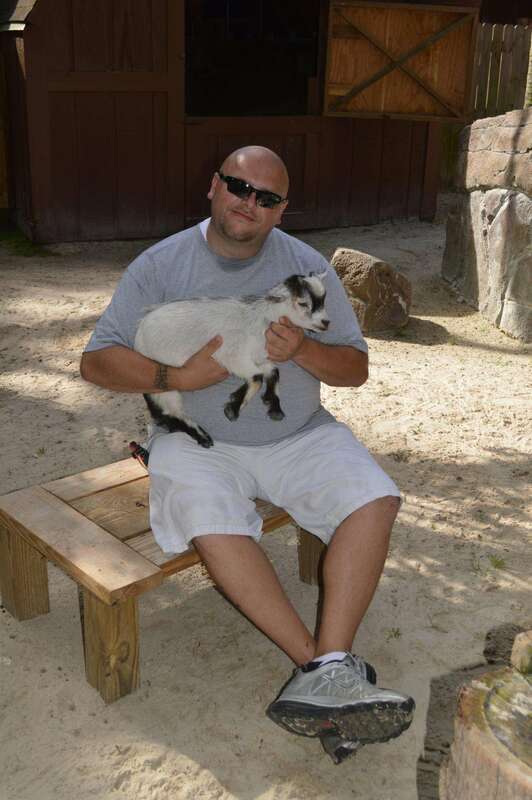 Gizmo is a male Africian Pygmy Goat that was born at the zoo a few months ago. Gizmo stole my heart from the first time I met him. The keeper told me to sit on a block of wood, and quickly after Gizmo jumped up on my lap and laid down for me to hold him. After spending some quality time with Gizmo I had to get back on track. We cleaned the yard, picked up pellets of poo, sprayed off the rocks, fed the pig, and of course held gizmo some more and took a ton of pictures with him! After a while we moved on to the next area! We made our way over to see Jai and PJ who are also newer to the zoo here in Sanford. 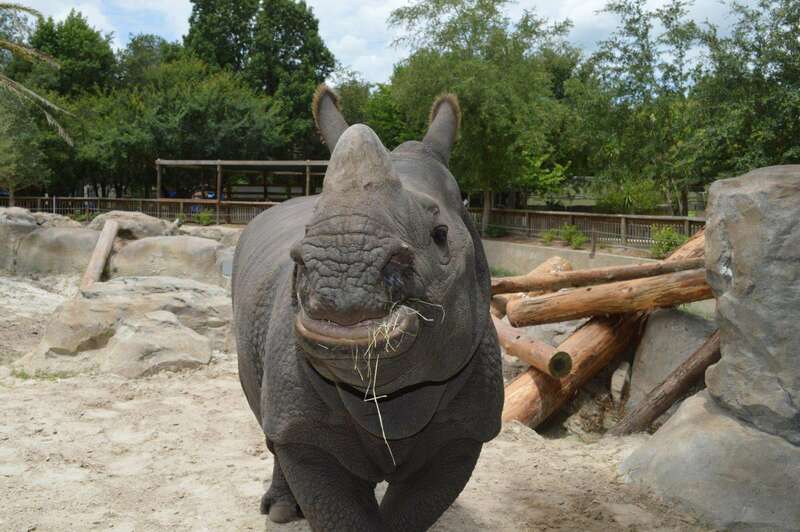 Jai and PJ are Indian Rhinos who now call the Central Florida Zoo home! We toured their sleeping quarters, then got the rhinos ready for one of their daily encounters. 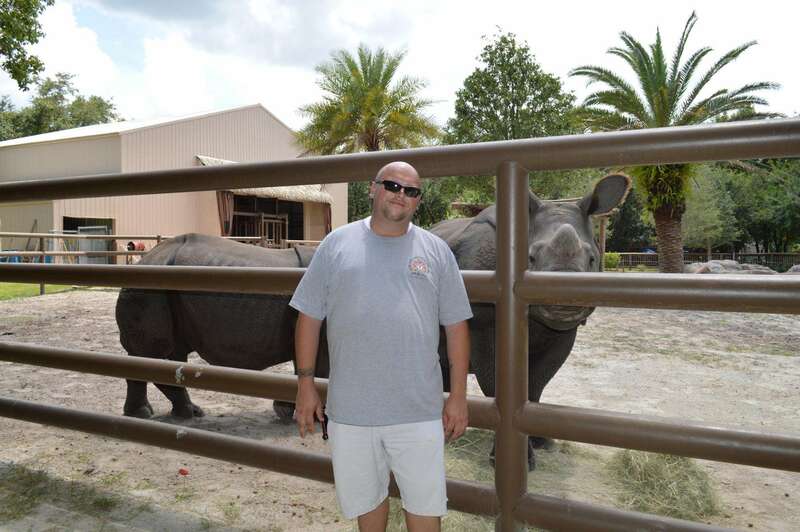 Every day, guests of the Central Florida Zoo have the opportunity to pet a rhino and get up close to it. I got to watch the encounter and interact with the guest by answering questions about the Rhinos as well as well as my Keeper for the Day program. After the Rhinos, I got to see one of the newest additions to the zoo! I got two special surprises while I was at the Central Florida Zoo. 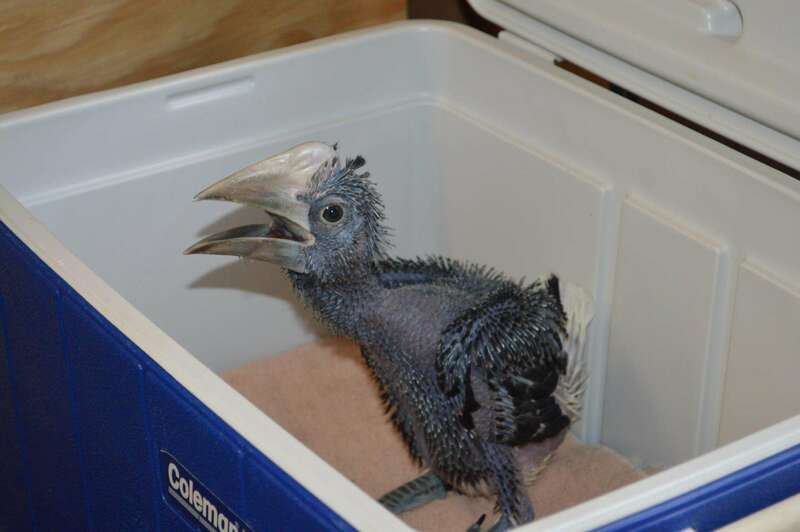 The first was the the opportunity to feed a baby Great Hornbill bird in the Animal Keeper trailer. I got to meet the ladies who work with the birds and pick their brain for a little bit while feeding this awesome animal! I had to feed him with some tongs so he wouldn’t bite my fingers, but it was still a great experience. 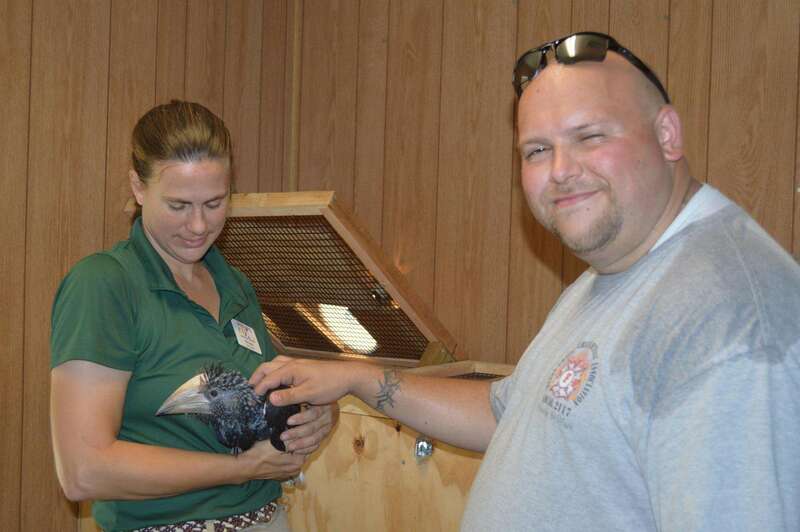 After feeding, I got to pet the bird and see some of the other new animals. The second cool experience started out in the goat enclosure with some paper bags and a brush. I was told that the reptile department wanted some goat fur for some animal enrichment. We brushed the goats, and let the goats play in and around the huge paper bags to get their scent and hair on it. We then delivered the goods to the reptile area where I got a tour of the backstage area! Included in the tour is lunch with the keepers which is nice. You get to pick anything you want from the menu and get some time to sit down and pick the brains of the keepers about your experience, what you have seen, or what it takes to be a zoo keeper! For more information on this program or to book one for yourself you can go here! Cost: $150.00 per person and may be purchased for yourself or as a gift for someone else.